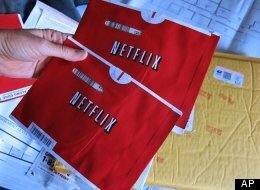 Netflix has had a host of problems with their streaming service - interrupti­ons during playback, mixing up titles during delivery (the title you pick is not the one it picks to show you), a parental guidance system that forces you to turn it off just so your kids can watch a "TV-Y7" series and, not the least of which, lots and lots of "almost good" and "also ran" titles that you're stuck with after you've watched everything that's good in the first month. The reason customers still rely on their DVD service is because they are not offering those titles any other way. I'd love to have these titles available as streaming (in spite of the problems mentioned above) but they clearly are incapable of delivering that, maybe because of studio restrictio­ns, I don't know. The bottom line is that I have many more reasons to be dissatisfi­ed with Netflix than I am satisfied with them. 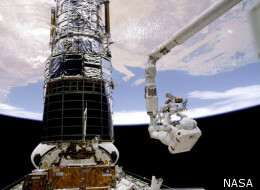 I used to work for NASA and I can definitely empathize with the frustratio­n this man is venting. Let us not forget the many advances in technology that we benefited from because they were developed with tax-payer dollars for the space program and given back to us. Let us hope we do not lack the fore-site to keep this momentum going.